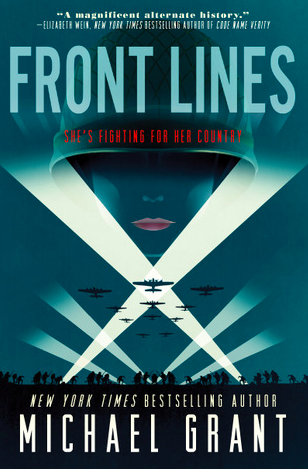 Front Lines is an alternate history of World War II, exploring what could have happened if women were allowed to fight on the front lines of battle. This is a multiple perspective book that details the lives of 3 girls who have enlisted for a variety of reasons. One is a black medic, who must overcome sexism as well as racism in order to serve her country. Second is a Jewish girl from New York, who works in army intelligence. And the third perspective, is from a girl who is forced to re-examine who she believes she is in order to accept her new talents to further the USA’s goals in Europe. All three of these girls have very different experiences, and provide the reader with a glimpse into previously unexplored possibilities while still accurately describing the true horrors of war. 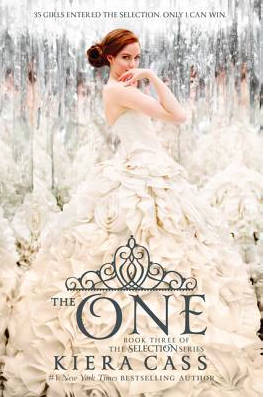 Review: I received this ARC from EpicReads! in exchange for an honest review. I have mentioned this book previously on my blog and was very excited to finally read it. Within the first couple of pages, I fell a little bit in love with this story. 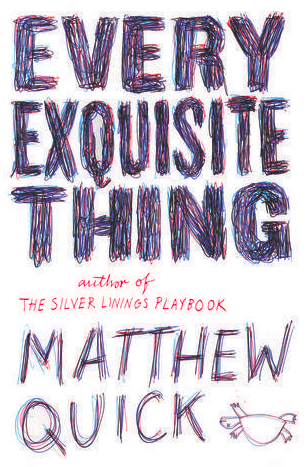 It opens with an unknown, almost omniscient, narrator who introduces the characters to the reader. It gave me chills and reminded me a lot of the narrator used in The Book Thief. However, I was a little disappointed to discover that this narration occurs for only about 10 pages of the entire novel. I also would have loved to hear more from the perspective of the soldier working in intelligence throughout part I of the novel, when they are receiving their training. This was such a unique perspective and I feel like it could have used more fleshing out and attention. Although the beginning of the novel dragged a bit in some places, I was really impressed with Grant’s writing during the conflict scenes, and started flying through pages once Part II arrived. Now that the girls have officially transitioned into combat life, I could easily see myself enjoying the next installment of this series. I found this to be a great start to a very intriguing series. If any of these are on your list and you want to do a buddy read, let me know! 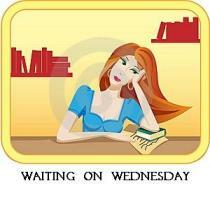 Waiting on Wednesday is hosted by Breaking the Spine book blog! This week I can’t wait to read The Girl From Everywhere by Heidi Heilig!! This book follows a girl, Nix, who can travel to any time and place with her father and his ship. Although she loves her life, this ability may put everything in jeopardy when her father goes back in time to try and save her mother from dying in childbirth. 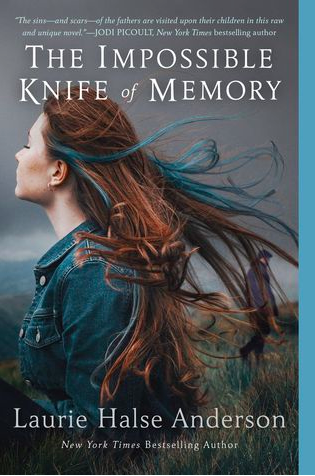 No one knows what will happen to Nix with her father trying to change history so close to her birth, but ending her father’s heartbreak may cost Nix everything. This sounds like a totally unique and interesting story. I can’t wait to read about all the interesting time periods that are visited in this novel and how Heilig has the people aboard the ship interact with those that are stuck in their own time and place. There are so many cool directions that this book could go and I’m excited to see what happens and what kind of help Nix discovers along the way. 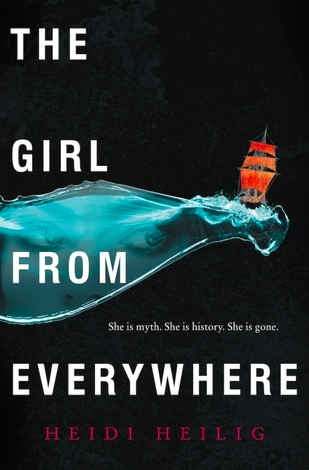 The Girl from Everywhere comes out February 16th, 2016 and is published by Greenwillow Books! 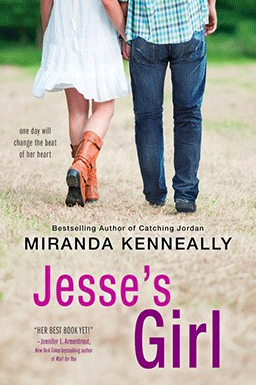 Jesse’s Girl by Miranda Kenneally is a really cute, light contemporary read for days when you don’t want your book to drag your mood down. 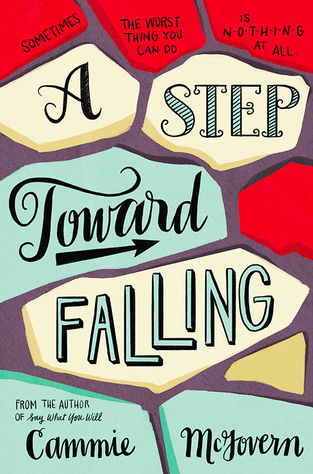 A Step Toward Falling is a book I can’t promote enough! It gives a super accurate depiction of people with disabilities, has a great storyline, and ends takes on tough issues while still being able to have light and sweet moments. 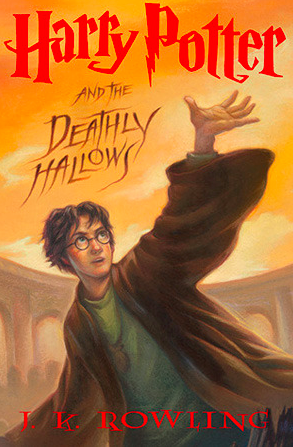 Harry Potter was “the series” of my childhood. I loved how it ended, but was sad to see it was all over. Mac and Sydney’s relationship is one of my favorites. They don’t have instant chemistry that jumps off the page from the moment they meet and their relationship isn’t the sole focus in either of their lives. I like how they look out for each other, and their relationship feels a lot more natural than some depicted in other YA novels. 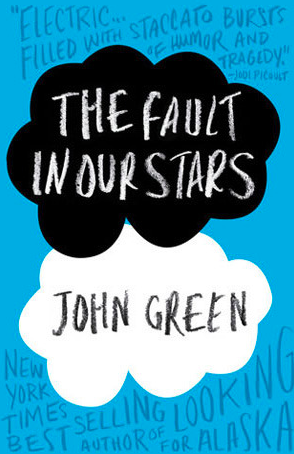 If Laurie Halse Anderson and John Green wrote a book together, I would have that thing preordered months in advance. I think their writing would compliment each other really well, and would love to see them work together someday. I’ll have a review of this book up soon! 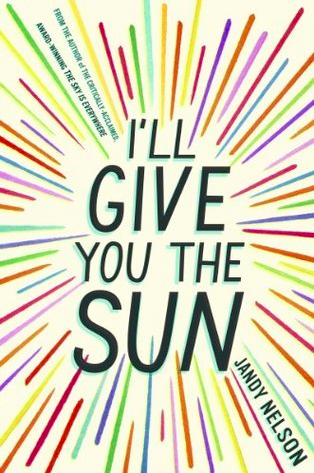 With the alternating chapters from different times and perspectives, I’ll Give You the Sun does a great job of keeping information from readers until the perfect moment, making this an ideal page turning read. I read Ink and Bone earlier this fall and really enjoyed it. 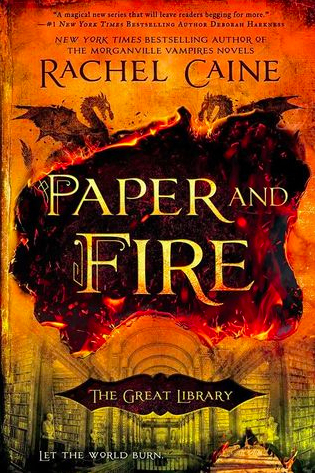 I’m really looking forward to finding out what happens to these characters in Paper and Fire. A Step Toward Falling is a contemporary dual perspective novel that chronicles the lives of two high school girls who have both been affected by a bullying incident. Emily is a high school student who witnesses Belinda, a student with developmental disabilities being assaulted and walks away without acting. Now she and Lucas, another bystander who failed to act, must complete community service at a center that serves people with disabilities. As time passes Emily begins to feel like she is making a difference in the class, but still feels guilty about the night of the attack. When Belinda returns to school Emily makes a plan that she hopes will show Belinda how sorry she is and also give Belinda some positive attention that is long overdue. As new information about the night of the attack comes to light however, Emily begins to second guess how to best help Belinda, and wonders if she is going to end up hurting her more in the end. Belinda has not returned to school since she was attacked. She has fallen into a routine of watching Pride and Prejudice repeatedly hoping to rediscover the comfort she used to find in watching her favorite movie. She used to believe that there were people like Mr. Darcy in the world but now she isn’t sure. While her grandma and mom are very understanding and don’t mind that she is taking time off from school, Belinda knows she has to go back. As Belinda tries to return to her school routine, she begins to understand that things have changed. She needs to learn to adjust to new roles in her classroom and also finds that she may have some new friends to help her with all of these changes. 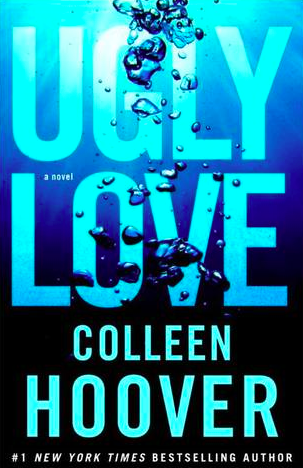 Review: This is McGovern’s second novel that I have fallen in love with. She has a wonderful way of making people with disabilities her protagonists without making the conflict of the novel center around their disability. Did Belinda’s disability play into how she recovered or reacted to her attack? Of course, but it wasn’t the only motive driving her actions or determining the next plot point. I loved the complexity of the feelings and people in this story. This is seen best through the inaction of Emily and Lucas, despite neither of them being “bad kids”. They froze, and despite their parents and peers telling them that it isn’t their fault or there is nothing they could have done, it’s not true. Despite their mistakes at the beginning of the novel however, Emily and Lucas show great maturity in accepting their punishment and doing everything they can to improve the lives of the people they are meant to be serving. I cannot recommend this book enough! Whether to learn more about people with developmental disabilities, or just to read a YA book with great themes, character growth, and a heartwarming message. Audrey is a high school student who has taken a medical leave of absence from school due to her severe anxiety disorder. As she puts it, her “lizard brain” (the portion responsible for fight or flight responses) is overactive and she constantly has to talk herself down in situations as harmless as having her brother’s friends coming over to visit. Something happened to Audrey in school between some other girls that has resulted in her being extremely wary of people outside her comfort zone. As part of her therapy, Audrey takes active measures to improve her disorder as the date for her re-enrollment in school looms closer. This begins with her brother’s friend Linus. When he comes over to play video games, Audrey and him begin a shaking friendship that gives her the encouragement she needs in order to attempt interacting with strangers and the world outside her home. With a promising start Audrey is excited to be “cured” and begins attempting bigger challenges to prove that her need for medication and extra care is unnecessary. However, Audrey must learn that she, just like everybody, will have some set backs in life and that those set backs do not mean that things aren’t improving overall. 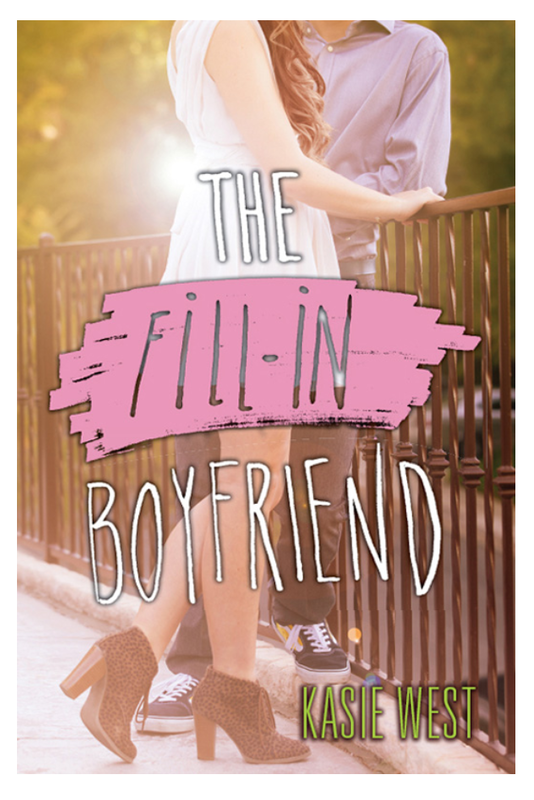 Review: I thought this was an utterly adorable story. 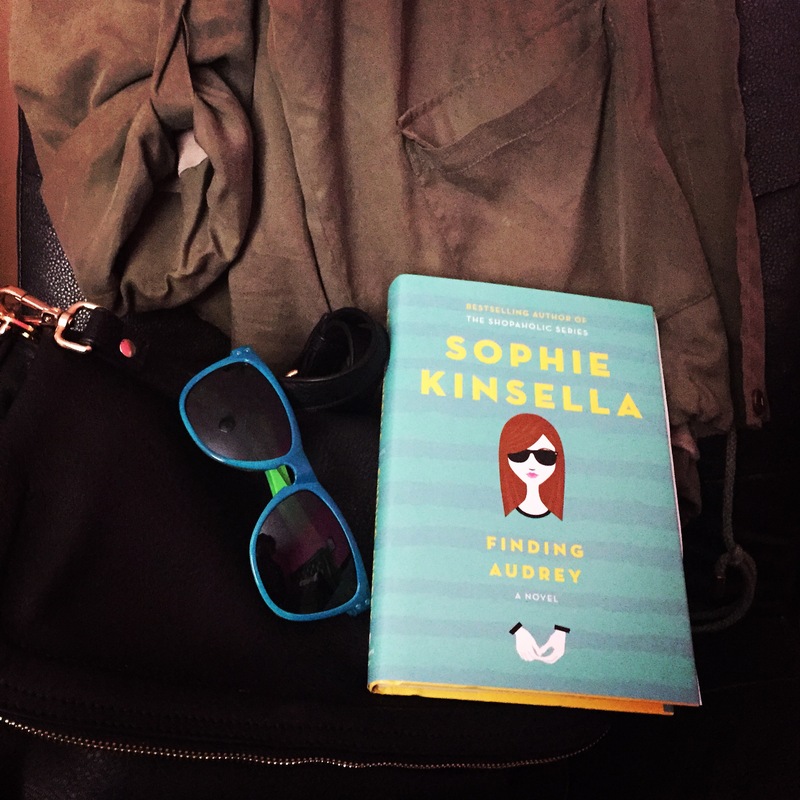 Kinsella highlights a very serious condition, showing how it can definitely affect someone’s quality of life while also maintaining the natural sense of humor that Audrey had prior to her breakdown. Although I found Audrey’s mom to be a bit obnoxious when I first started the novel, she quickly grew on me and I found many of her antics really hilarious as the story unfolded. I also felt that the mom’s overbearing concern with computer games, junk food, and whatever else the media says is bad for kids, shows how almost helpless her mom felt. As much as she tried to set her daughter up to have the happiest life possible, factors beyond her control resulted in her having to watch from the sidelines as Audrey worked through her anxiety. All of the characters in this novel supported Audrey in their own way. It was a truly heartwarming story that showed that despite her disorder, Audrey had the strength and support to stand up on her own two feet again. Thomas is quite simply a really solid and reliable friend. He is a genuinely great guy, who wants to see the best in everybody and improve the lives of those around him, without any ulterior motives. With a friend like this, how could your life not vastly improve just through proximity alone. This may be cheating because it isn’t just one person, but the Tucks are such an awesome and grounded family. They focus on creating positive experiences despite the negative effects immortality can have on one’s outlook on life (with the exception of Miles at times). I feel like spending time with them would feel like a constant potluck, a party with close friends where there is total acceptance and no need to be anything less than authentic. Levi has a quirky charm that is not over the top and makes him super realistic. I could easily see him on the campus of the college I attended. Reading Fangirl, I was super jealous of the easy friendship that his personality enabled between Levi and Cath at the beginning of the novel. I though Nanny made hilarious observations throughout this entire novel and loved her perspective on her job and current situation. I cannot imagine an afternoon hanging out with her being boring or taken too seriously. So after making this list I noticed that there are not many female characters that I would want to be friends with. I think this is because I have a pretty laid-back personality, when I think of hanging out with friends I want to relax and anticipate sore ab muscles from the amount of laughing I will be doing. It seems like female characters are often mired in crisis or serve as a moral compass for the protagonist. 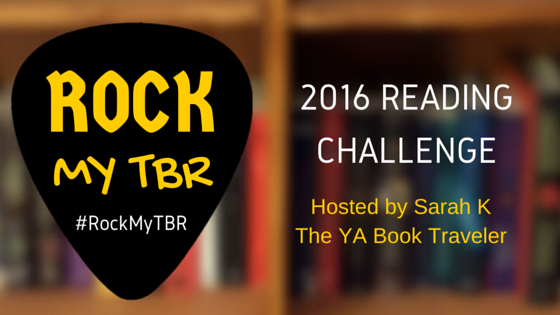 Can anyone point me to any YA novels that have a solid laid-back female protagonist or a friend that serves as comic relief without being catty or angsty? 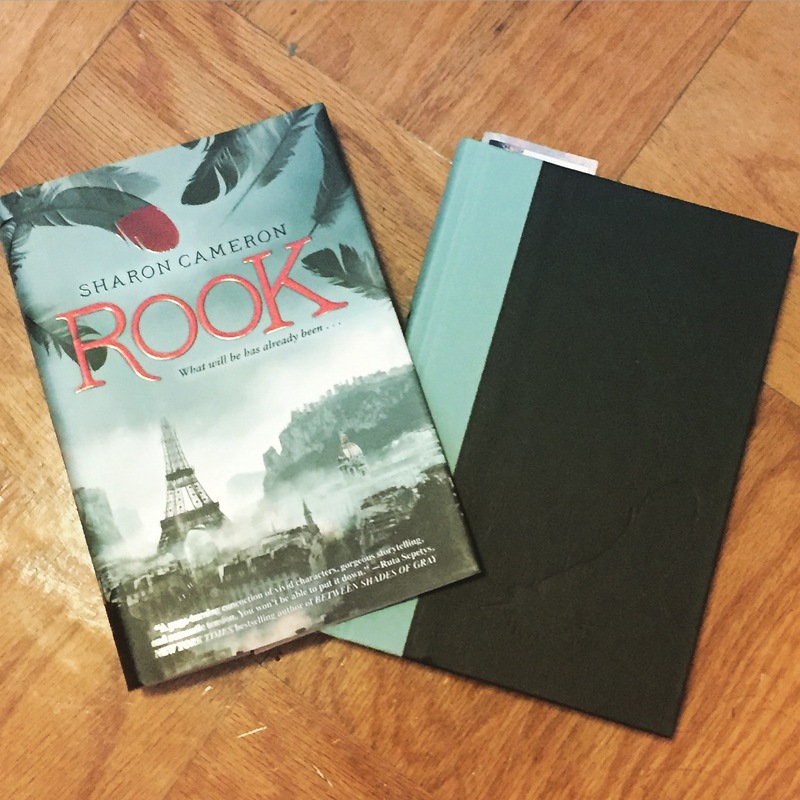 Rook is a retelling of The Scarlet Pimpernel, a story published in 1905 and set during the time of the French Revolution. I had not heard of the original story until I came across Rook, but apparently it is the first story ever written about a masked vigilante. Basically, the original Batman or Zorro. Rook takes place in a future Paris, where technology has failed mankind and people are reduced to a lifestyle that would have been common during the early 19th century. In fact, the new government that is in charge, expressly forbids anyone from using any type of technology from our current times. A large part of this novel focuses on the theme of history repeating itself, so just like the French Revolution, the government gives the general public someone to blame for their current destitution and appeases them with very public executions of the wealthy. Regardless, of whether the current state of affairs is their fault or not. This is where the Rook comes into play. The Rook is a vigilante who frees prisoners just before their execution and nobody knows who he/she is because all that is left behind is a single red tipped feather of the Rook. It is revealed early on that the Rook is a wealthy young woman, named Sophia, who must conceal her identity, while also trying to save her family’s home from being seized for debts by marrying a foppish Parisian who she cannot stand. 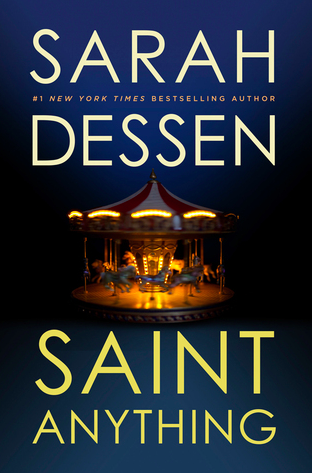 While the law slowly closes in on her and her fiancee begins questioning her bizarre behavior, Sophia must make sacrifices to protect those she is closest to and use precise judgement to determine who can be trusted with her secret. Review: This novel had so many plot twists and so much going on that I was thoroughly entertained throughout the entire story. Cameron works hard to make all the characters’ actions and motives known without overwhelming the reader too much. I was really impressed with her ability to keep enough hidden from the reader to continue to make them question how the book was going to resolve while also giving us enough background information so we weren’t bogged down in confusion. All of the characters had a specific end goal in mind and were driven by a wide variety of motives that helped diversify all the players. This, with an interesting premise and setting made Rook a fantastic dystopian read, that was really different than any other book I have read recently in this genre.